How Can I Tell What’s Fake News? 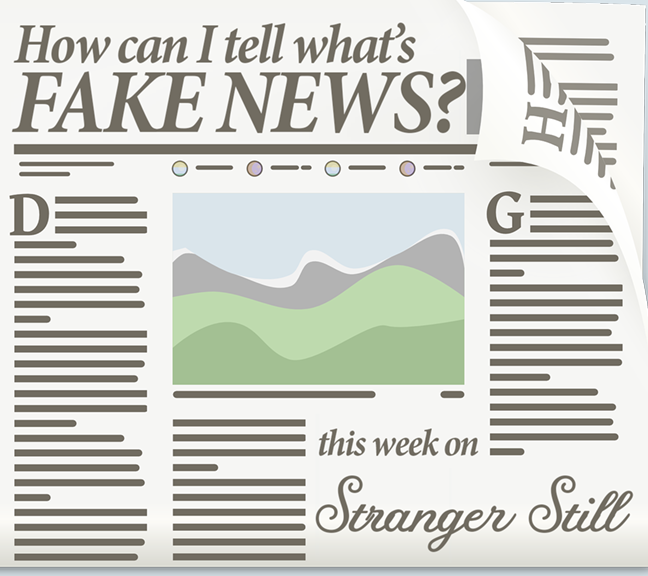 In this episode, we explore the question “How can I tell what’s fake news?” Unfortunately, ‘Fake News’ is a real problem, on par with things that actually matter. Nick and Jon carefully tip-toe around their own political biases to tell you how to spot fake news. So let’s settle this issue, get you on your feet, and get out there! Join us in learning about flagrantly fake facts and laughing along the way!